Spring Fishing A typical bank holiday weekend. 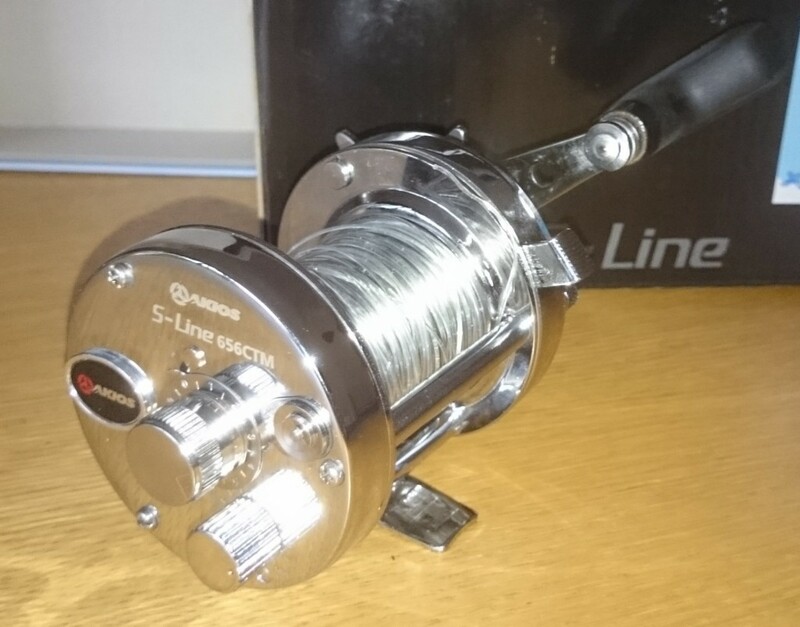 For a long time now I have been looking to buy a new reel to replace my ageing Abu 6500 multiplier. After some research on the web, I found what I hope will be a worthy replacement for my battered little Abu. I found akios reels had been getting some very good reviews. The Akios company was started by Simon Bradbury who had formerly worked for Abu., so right from the start I knew it could be a quality product. After buying the reel online. It came within a few days! On first inspection it was a solid well made reel not tinny or light. The reel has three knobs for controlling the spool speed. Two for spool float and one for magnet control. Screw up for more magnet; unscrew for less magnet! Thus making it virtually idiot proof for preventing over runs and birds nests. Even with my poor erratic casting style. I loaded it with 15lb line and 60lb shock leader and I shot off to sandbanks to try it out. Initially I just clipped a 5oz plain lead and no trace just to wet the line and see how the reel felt. With the magnets 3/4 on I eased a lazy pendulum no power no effort. Just a light flick to see what would happen. I wasn’t prepared for the result! The lead just flew and flew. Amazing, and after a few more casts winding up the power, the reel just seemed to get better and better!!! Initial testing over! I clipped on a Portsmouth rig and sent it flying again flawless! I had got a couple of quids worth of worms from my bait supplier “Pete Wheeler ” partly to test the reel on one rod and fish the other. But couldn’t wait to give it a bash. A good rattley bite on the rod with the akios revealed a double shot of a little plump plaice and a small school Bass, which were reeled in with ease, no jerky drag just smooth and easy. I haven’t had time to give the reel a thorough workout for a proper review as Sean likes me to do. Only time will tell as to how it well it will cope over the next few months, as it will be one of my main workhorses that I use and I will report as honestly as I can on its future performance. 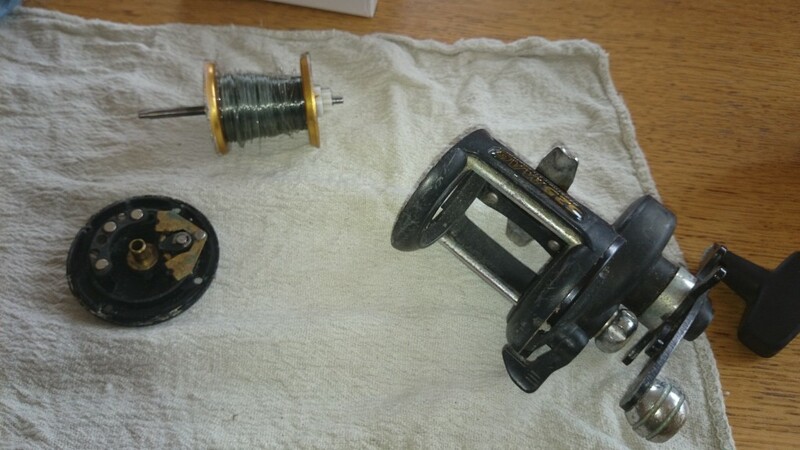 The other reel I use is an original Penn 525 mag and lately I have been suffering over runs and birdnests every other cast. Even with the slider magnet setting full on! My casting style hasn’t got any worse and the conditions I’ve fished in even less. So all evidence points to the reel!! 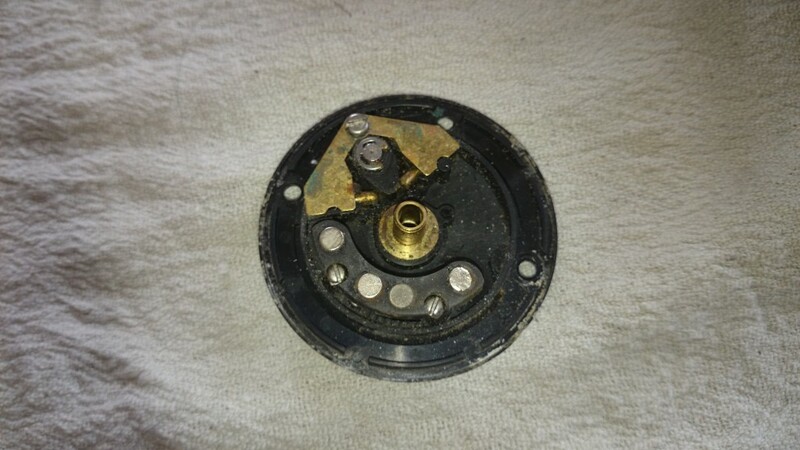 Later, when I got back home I stripped the reel and found three of the earth magnets had layer of rust on them. I’m fairly sure this I what is causing me the issues. I’m no expert when it comes to the inner workings of these performance reels. So it was time to hand the reel over to Dave Lines. Dave has been fixing reels for years and more than qualified to find and fix any issues that I have had with any of my reels in the past. Back to the fishing and slowly but surely we are seeing Bass making their presence felt. Fish up to a couple of pounds being caught in numbers. 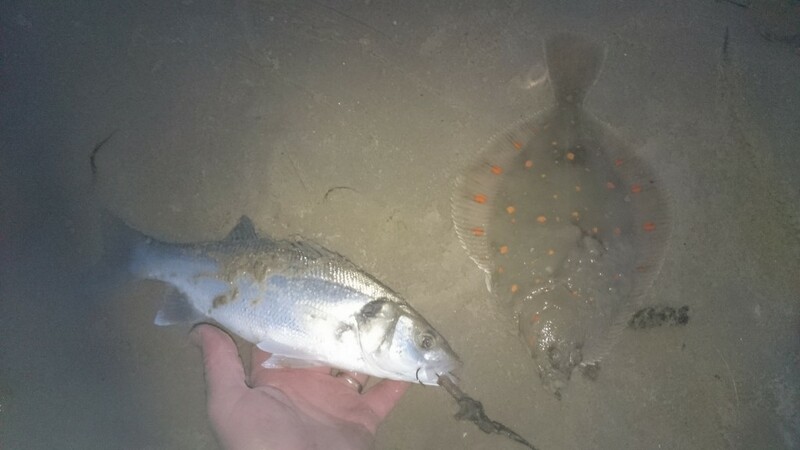 Rays continue to be caught in the east of the region. Myself I had a small smoothhound after dark testing the new reel. Good signs ,the bigger ones won’t be far behind as the crabs start peeling. I hear the gill netters are starting to pick up good numbers of mullet. It won’t be long before we see them on rod and line. Last but not least ,I saved the best for last! Bream have started to show in the boats off Bournemouth.They are a little later than last year. For what ever reason. But in the cycle of life we have seen lots of squid and some cutlery around in the last month. When these cephalopods have all spawned they immediately die! Thus leaving a free banquet for the bream to feed on. Their dying en masse kicks off the bream season. They feed up prior to spawning themselves! My local bait supplier Pete can be contacted on 07525252625 . Pete is renowned for having quality ragworm when other supplys have dried up. As well as quality ragworm Pete has all the usual frozen bait. Squid, Mackerel bluey and crab available for reasonable prices. 3 Responses to "Christening my new Reel, Akios S-line 656ctm"
How would Sean compare it with your nice Avet for the same type of shore pishing ?